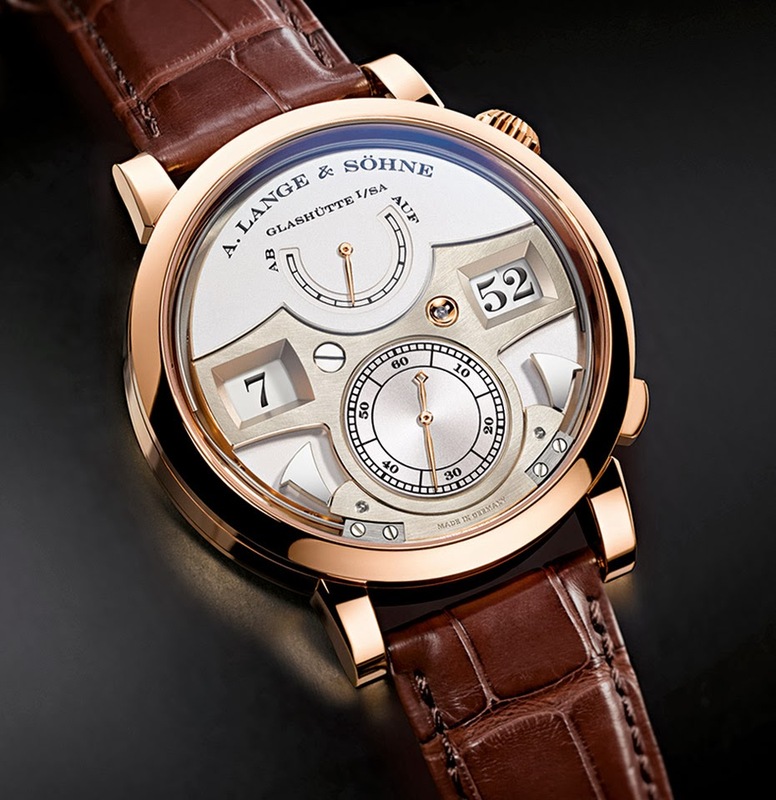 The Zeitwerk Striking Time, one of the most iconic timepieces created by A. Lange & Söhne, is now available in a pink gold version (ref. 145.032). 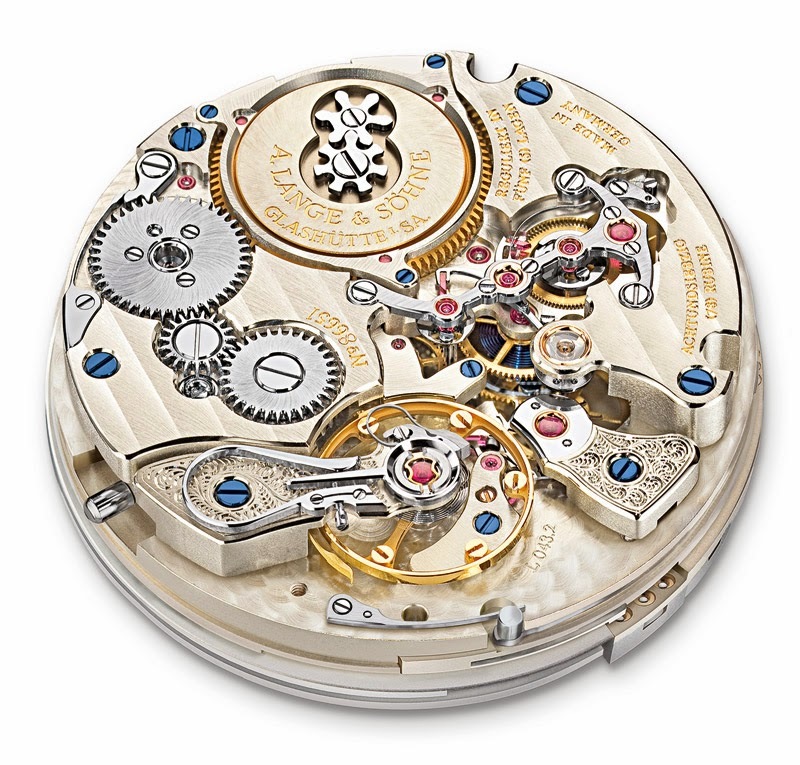 Introduced three years ago with a black dial framed in a 44.2 mm white gold case, the Zeitwerk Striking Time successfully integrated the key chiming mechanism components into the main dial design with the steel hammers visible on both sides of the seconds sub dial and the two gongs embedded in a recess between the dial and bezel. The new addition to the Zeiwerk collection features an argenté-coloured dial and pink-gold hands resulting in a more traditional timepiece compared to the white gold case / black dial version. 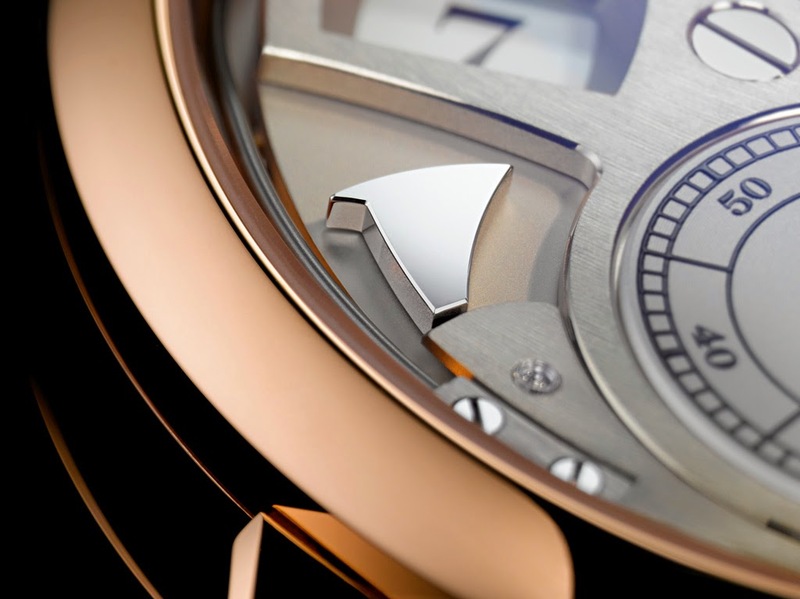 Every 15 minutes, the mechanism triggers the striking of one of the two gongs. Three higher-pitched tones sound each quarter hour, while a low-pitched tone chimes the top of the hour. The chiming mechanism can be deactivated at any time by using the push piece at 4 o’clock which raises the hammers and silences the watch. This process can be observed through the sapphire-crystal glass, so it is always evident whether the mechanism is switched on or off. In fractions of a second, the patented constant-force escapement advances the numerals minute by minute until the full hour when all three numeral discs jump forward simultaneously by exactly one increment. This way, the display offers instant and perfect legibility of the current time. Thanks to the sapphire crystal back, it is possible to admire the lavishly finished L043.2 manufacture calibre with its balance wheel with eccentric poising weights and a proprietary Lange balance spring. 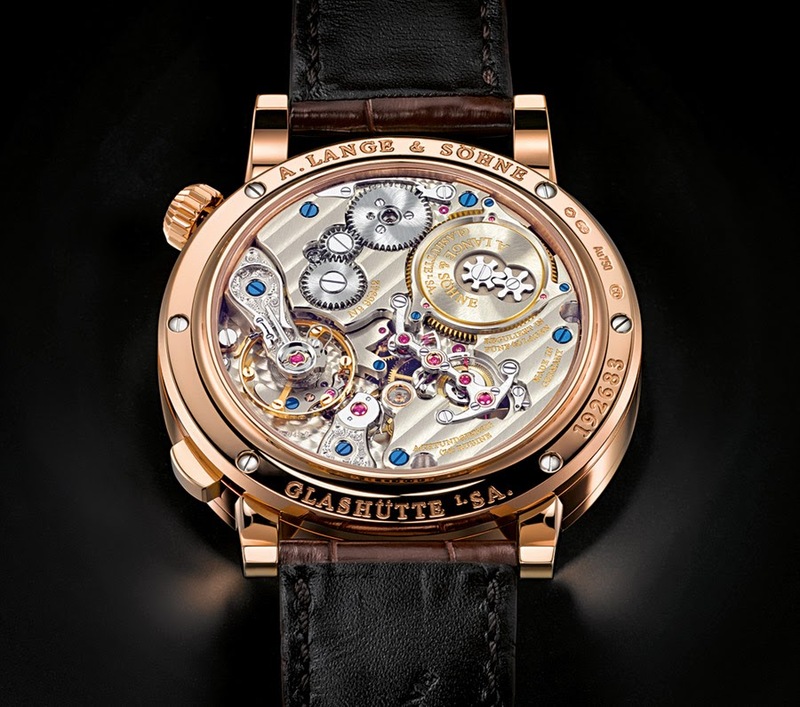 The movement offers 36 hours of power reserve when fully wound. 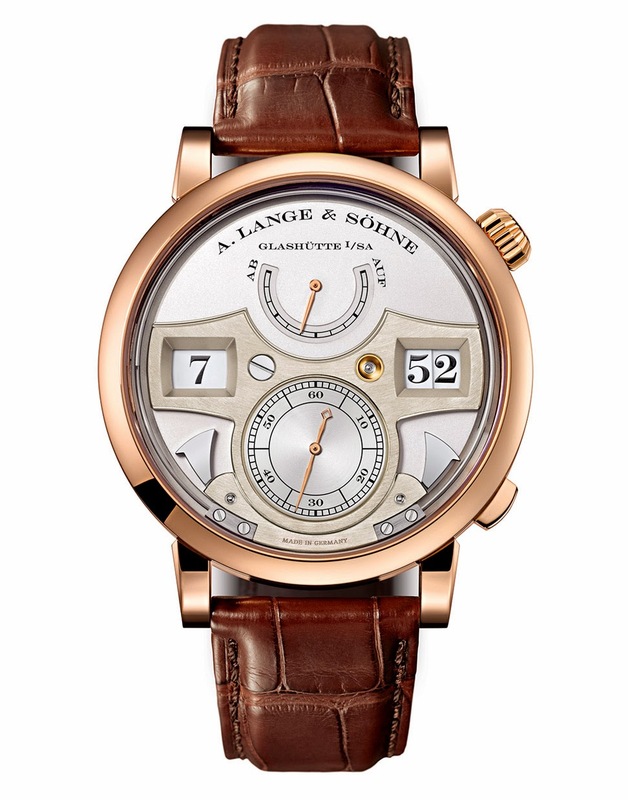 The Zeitwerk Striking Time, one of the most iconic timepieces created by A. Lange & Söhne, is now available in a pink gold version (ref. 145.032). The new addition to the Zeiwerk collection features an argenté-coloured dial and pink-gold hands resulting in a more traditional timepiece compared to the white gold case / black dial version.